Understand that with a little effort, the student should meet these requirements, making it possible to mount additional specimens if he/she so chooses. The facility keeps a variety of additional specimens on hand for those exceptional students wishing to do so. Air Brushing (various techniques, proper paint mixing/viscosity, disassembly/cleaning/assembly/care of the airbrush). And by the way, all the procedures outlined and involving “airbrushing” (every specimen you mount will require some kind of airbrushing) will be performed by you with “Your Own Airbrush” – provided free of charge to you by AZTT! We left nothing to chance by providing you with a “Badger Renegade” airbrush, renowned in our industry as one of the finest airbrushes available. Also, in addition to your above airbrush, we provide you with an incredible assortment of taxidermy tools, along with a toolbox, that you will use not only during your eight (8) weeks of professional taxidermy training, but also take home with you upon completion of this incredible course. 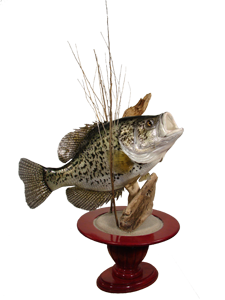 Lastly, you will leave with the tools, knowledge, and confidence to begin working as a real taxidermist, or begin your own taxidermy studio. Your own professionally completed specimens await your new showroom! Two (2), Four (4), & Six (6) Week Professional Taxidermy Courses: These courses are provided for the taxidermist who may not be able to attend the complete professional taxidermy eight (8) week session, decides to take the courses on an individual basis, or one that wishes to specialize in a certain taxidermy genre. 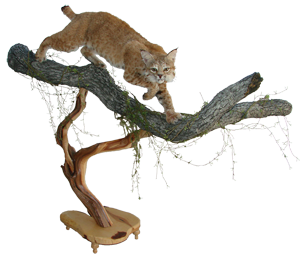 The professional taxidermy training and procedures are identical to those in the eight (8) week course, and the mounting requirements are also the same. Some tools within their toolbox may change, but as with all students attending AZTT, the exceptional “Badger Renegade” airbrush is included free of charge. Job Placement: Although we cannot guarantee job placement, we do occasionally receive calls from taxidermists, wildlife studios, and museums looking for additional / new employees. We do pass this information on to our students.